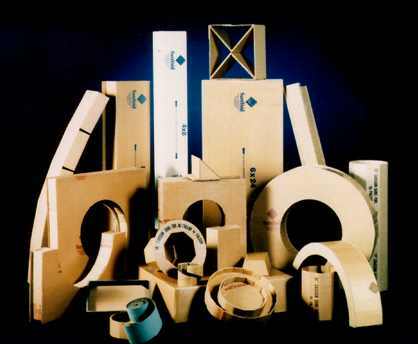 SureVoid – VoidForm Products, Inc.
SureVoid® products are corrugated paper construction materials, commonly known as “void forms” or “carton forms”. They create space between concrete structures and expansive soils, thereby isolating the concrete from the swelling ground. 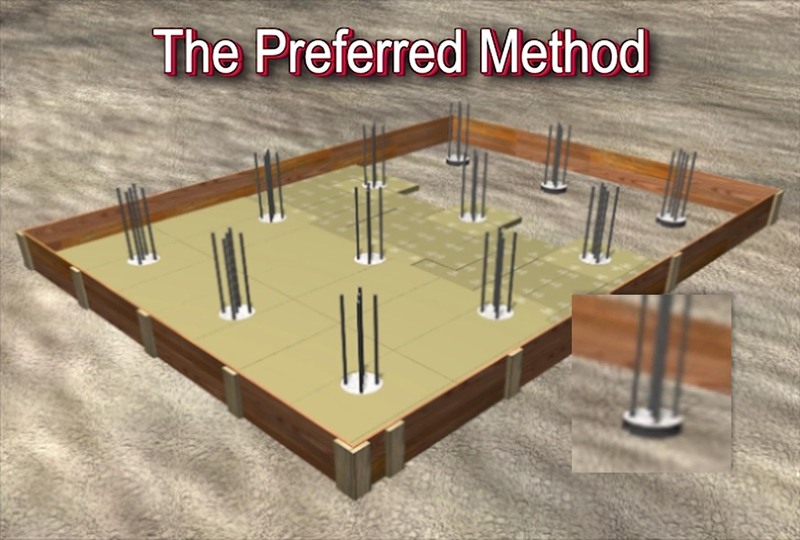 SureVoid® provides a temporary support platform for concrete placement until the grade beam or structural slab above sets and can support itself across drilled piers, pads, intermittent footings, or other concrete work. The SureVoid® material, lying under structural concrete construction, gradually absorbs ground moisture and loses its strength after the concrete has set, creating a space into which soil can expand without causing damage. For nearly 40 years, SureVoid® has been manufactured and supplied to both large and small contractors throughout the U.S. and Canada. You can rely on the long-standing experience behind these products, now and for decades to come. Throughout its long history, SureVoid® has been designed, developed, tested, and improved with new configurations and accessory products that keep pace with changing construction demands. Many standard and custom-made products are available to meet your needs. SureVoid® Products perform, period! Contractors rely on the most-trusted name in void forms for large-scale projects, schools, hospitals, industrial complexes, and government facilities. In addition, thousands of home builders count on SureVoid® to protect their custom homes and subdivisions from expansive soil. Designed to support nearly any concrete load, SureVoid® is configured according to your specific project needs. It endures the pressure of up to 35′ liquid-head walls and structural slabs up to 13′ in thickness, yet it becomes non-structural within days as moisture permeates the corrugated paper interior. Lightweight and manageable, SureVoid® pieces come in a variety of widths. They can be easily cross-cut with a handsaw to fit in non-standard lengths (under 5′). Many products are designed to eliminate field-cutting around drilled piers, thereby increasing job site safety and saving valuable time. SureVoid® has a wax-coated exterior cover containing the interior support network. Both elements are made from corrugated paper, which is very strong when dry, yet completely non-structural when enough moisture has been absorbed. The wax coating impedes absorption, allowing concrete to set sufficiently. Aside from a very thin layer of paraffin wax material, SureVoid® Products are completely biodegradable, unlike void forms made from expanded polystyrene or metal. In addition, the raw materials have a very high recycled content, which helps you earn points on your LEED registered project. As America’s #1 void form system, SureVoid® Products are specified by more architects and engineers than any other. With AIA accredited training programs, personal in-house product presentations, and distributed video presentations, SureVoid® remains at the forefront within the design community. From start to finish, your ordering experience with SureVoid® Products could not be easier. In-house estimators will review your project plans and recommend the appropriate components to meet your needs. They are then delivered directly to your jobsite or yard, often in dry trailers for on-site storage.